As far as gringo tacos go it’s hard to beat Rick’s in Pasadena. Only, now it’s called Bobby’s Place. But the food is the same: the spuderito, the beef and bean with hot, and of course the crunchy ground beef tacos, are all still ridiculously delicious. 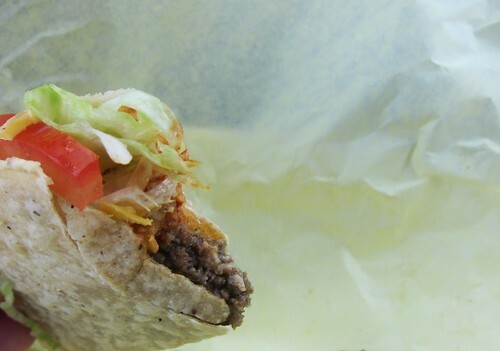 This hybrid taco-burger stand is legendary. 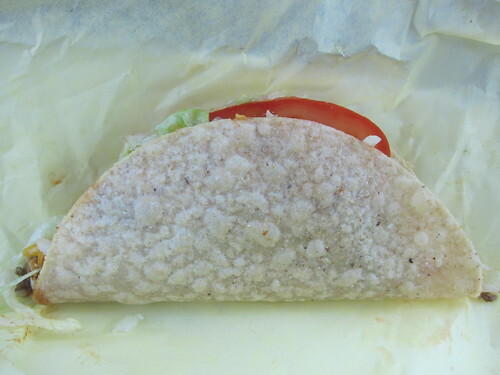 The taco comes with ground beef, lettuce, tomato slice, cheese, and hot sauce. The shell is pre-fabricated and has a good crunch to it. I’m not sure what the secret is with these tacos but they are some of my favorite gringos. About a mile east of Bobby’s, across from Pasadena City College, is an Alberto’s Mexican Restaurant. 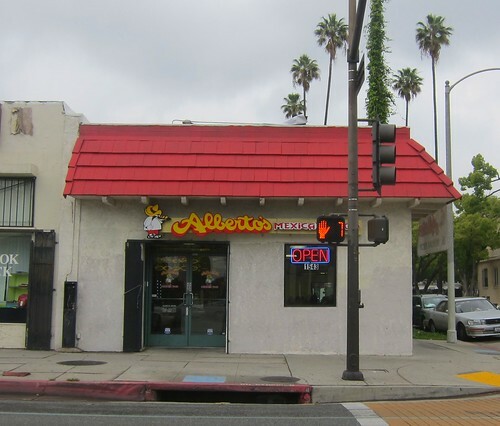 Alberto’s is a chain that is mostly in the San Gabriel Valley but I’ve seen them all over the place. I’ve only ever ordered a bean and cheese burrito at Alberto’s and depending on how generous they are with the cheese they can range from being great to just barely edible. The beef taco at Alberto’s was just okay. For gringo tacos I prefer pre-fabricated shells and ground beef. Alberto’s has a sturdier taco shell and they use shredded beef. 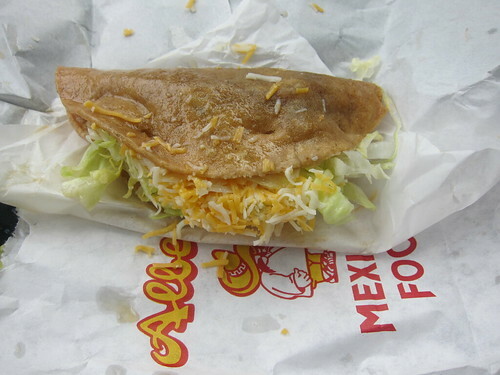 The beef is fried together with the shell so there is a lot of oil that gets trapped inside the taco. There was plenty of cheese but the taco was so oily and greasy that it was hard to find much flavor. The gringo taco at Rick’s wins this challenge hands down. The taco from Alberto’s did nothing for me. For those that have yet to try Rick’s I suggest you head out to Pasadena. When you get there order couple of beef tacos, a beef and bean spudderito w/ hot, and a large root beer. You’ll thank me later. I have driven by this SO many time and wanted to stop but each time I didn't. Glad to know they are good! U have to try the green chile burrito from alberts! bombbest! 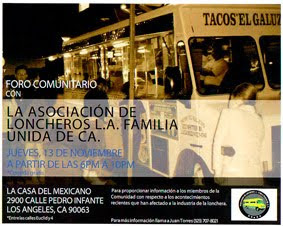 check the one in montebello or pico rivera !